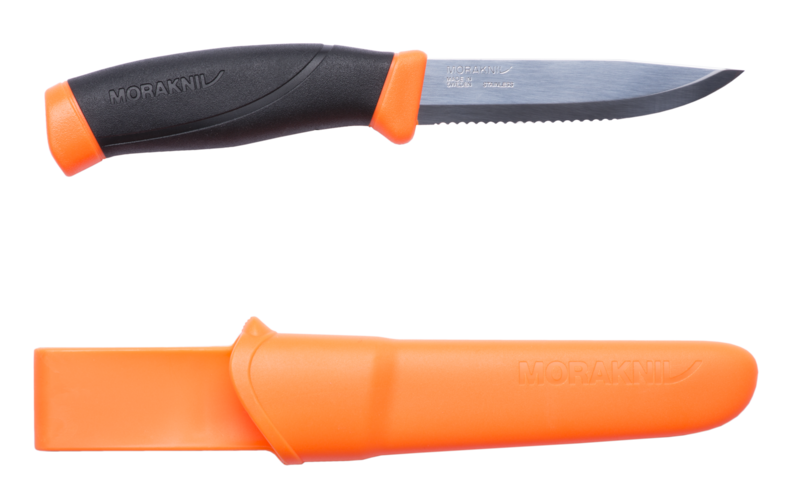 This knife has been created with a serrated edge specifically to quickly and efficiently cut through rope, nylon and fiber. Firemen, police and coast guards - professions where a reliable knife can be the difference between life and death – have discovered this model. The knife is specially designed to cut materials normally found in rope, cords, nylon, nets and lines. The blade has a jagged edge and is made of stainless steel according to our unique processes, which keeps the knife sharper for longer. The patterned friction handle helps you hold the knife safely so you can focus on working with a steady grip. Additionally, the fluorescent sheath makes it more visible, avoiding lost time in finding the knife in critical moments.